For many stations may have a punching machine, especially when producing variable volumes for quantity and type of work, sometimes the capacity is insufficient forcing to stop the machine to change the setup of the tools at the expense of production efficiency. The operator is forced to interrupt production, change the tools and then restart production. At this point the company is faced with additional costs for its production that derive from the cost of labor for machine setups and costs related to downtime. The use of Multi-tool auto-index offers the possibility of maximum flexibility by increasing the capacity, productivity and speed of the punching machine thanks to the possibility of inserting multiple independent punches in a single station, without losing the performance of the single tool at the same level of resistance and degree of rotation. The TP Alpha punching machine, for example, even if equipped with only one station, reaches a capacity of 10 tools, all auto-index and independent, thus maximizing the flexibility of a small and compact punching machine. If we take into consideration the TP Omega Omega and TP Zeta automatic punching machines, respectively with 5 and 15 auto-index stations, with the use of Multi-tool with 10 tools each, we can theoretically get the chance to stay up to 50 tools for the first and up to 150 for the second. 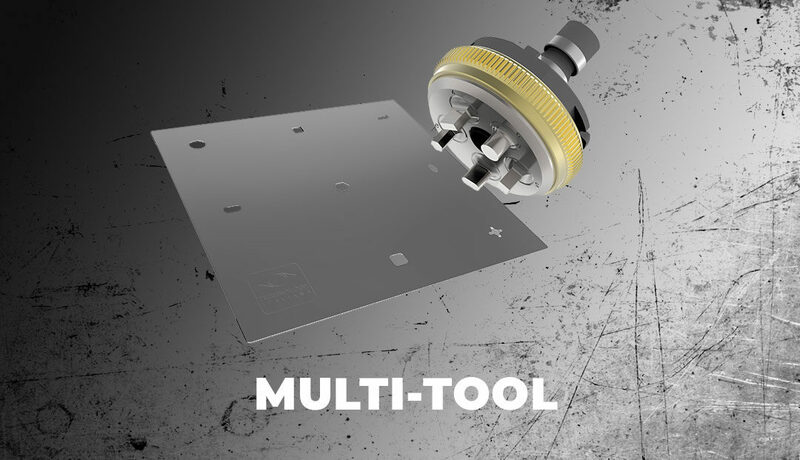 The tools inside the Multi-tool can rotate from 0 ° to 360 ° so that machining can be carried out at any angle. Every single tool rotates according to the CAD programming. The possibility of rotating all the tools allows to reduce not only the number of tools to be purchased, but also that of holders, adapters, extractors, etc. which are used for the use of individual tools. Reduced tool change timesDuring processing, the machine takes only 0.5 seconds to select and change the tool within the Multi-tool. Having a greater number of tools that can rotate 360 ° allows to simplify the programming, enabling complex nesting. Although the tools of the Multi-tool are very small, they guarantee the same performance and durability as standard punches. On TECHNOLOGY punching machines two models of Multi-tool can be mounted: with 5 or 10 tools. 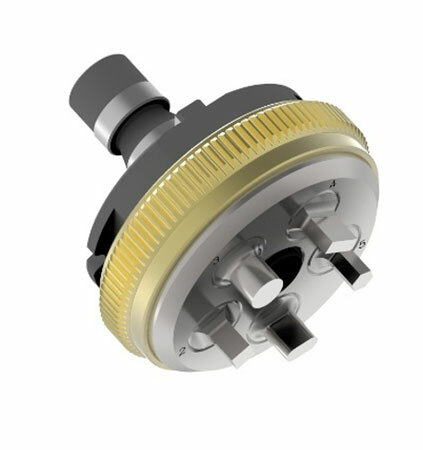 The 5-tool version allows to house tools with a maximum diameter or diagonal of 16mm. 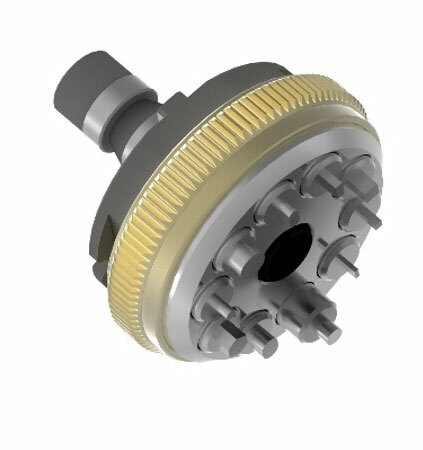 The 5-tool version allows to house tools with a maximum diameter or diagonal of 10.5mm. Assembling the Multi-tool is really very simple and above all fast, the positions of the tools are numbered, so as to minimize the possibility of error during assembly. In the below table we show the thicknesses that can be worked with the Multi-tool, you can see how all the thicknesses ideal for punching can be processed. The Multitool auto-index technology proves to be the ideal solution to increase the versatility of the punching machine, increasing its capacity and reducing tool change times, quantities and the cost of the tools to be purchased. It means an economic return for the benefit of the company and its customers.